1879 marks the earliest year among Indian Head cents that could be considered numismatically common and readily affordable. While 1879 pennies are still scarcer than issues from later in the series, particularly pieces of the late 1880s and beyond, the 1879 cent is nevertheless easy to find. 16,231,200 pennies were made in 1879, and examples in a grade of Good-4 cost around $7 to purchase. Even in uncirculated grades, 1879 pennies sell for only around $100 – a tiny fraction of what most other 1870s pennies retail for in similar grades. Meanwhile, 3,200 proof pennies were made in 1879, and these much scarcer pieces retail for $1,250. 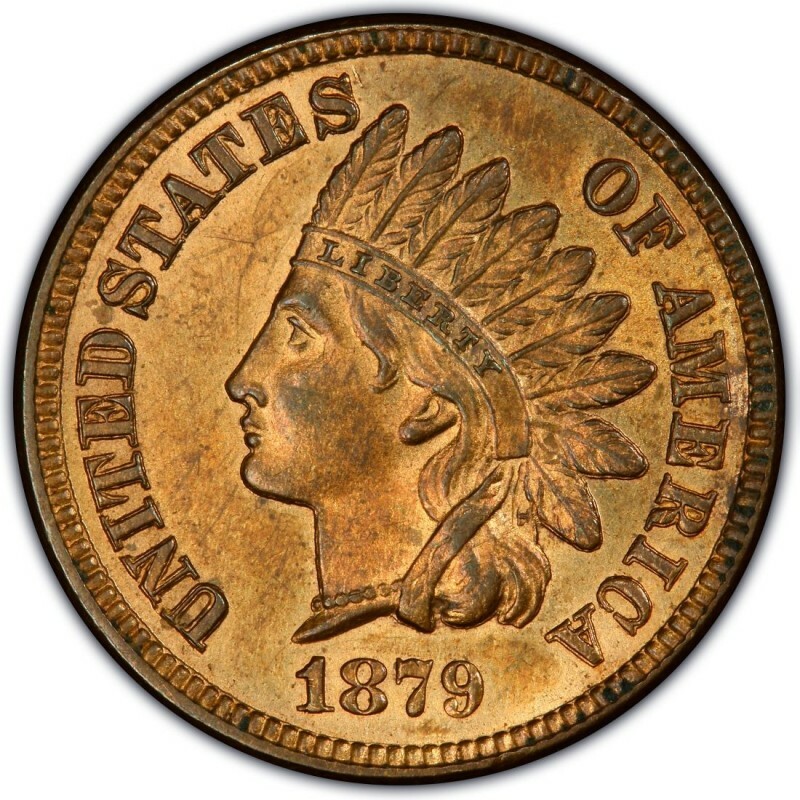 Indian Head pennies were first made in 1859 and were designed by Chief Engraver of the United States Mint James B. Longacre. He designed many coins during his tenure as Chief Engraver from 1844 until his death in 1869. 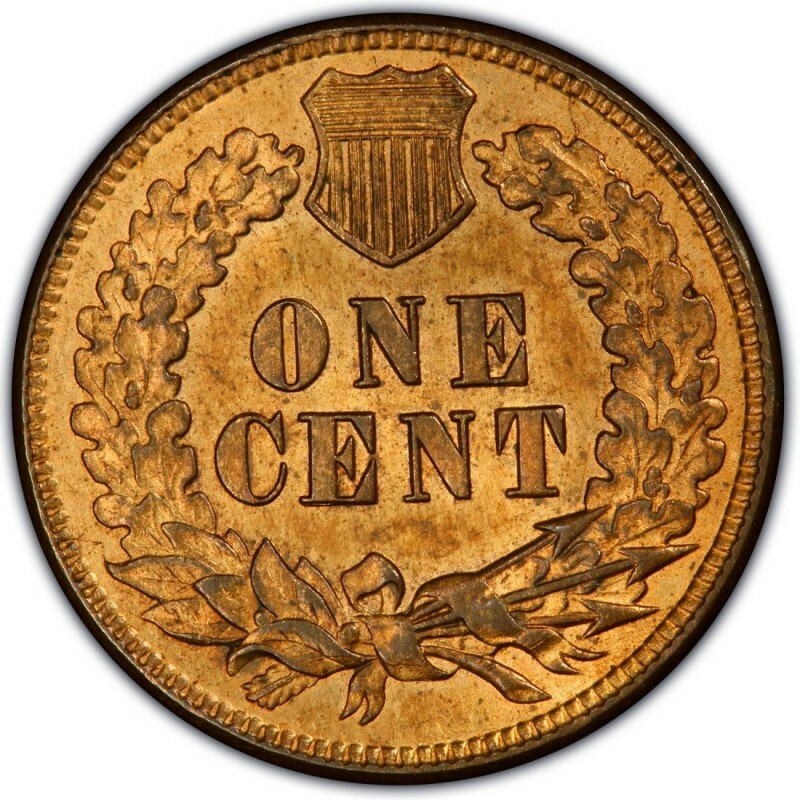 Perhaps the most notable design outside of the 1879 Indian Head penny is the two-cent piece, which was struck from 1864 through 1873 and was the first U.S. coin to bear the motto IN GOD WE TRUST. Longacre’s daughter, Sarah, was the model for the figure on the Indian Head penny, which actually depicts a representation of Miss Liberty.